Some people were born to follow and some were born to lead. In today’s trending topics, everyone want to be a boss but Breadwinner Kane is a born leader, a real boss. He proved it in the streets of Huntsville, Alabama and when he came into the rap game around 5 years ago, he came in as a boss. He has been the hardest working man in Hip Hop in the South. 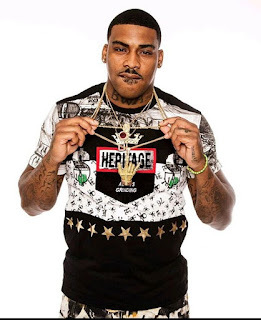 After being consistently dropping mixtapes and new singles, independently on his ArtillerySouth label, getting some assistance from his brother from another mother, Kevin Gates on a few singles but ultimately bankrolling his campaign and his dream to be one the busiest trap-rappers coming out of the South as of lately. Stepping out the shadows of his big homie/brother, the aforementioned Kevin Gates, Kane is dropping “Blood Wit Attitude: The RedPRINT” on May 26th, exclusively on LiveMixtapes and this past week he dropped the first single, “On Errthang”. And with so much on his plate, he still shows love and respect to his mentor, #FreeGates!